Sweet Sayings For Your Sweetheart! Want to whisper sweet nothings to your sweetheart but can't find the words? Let the Love Notes Ball do the talking for you. 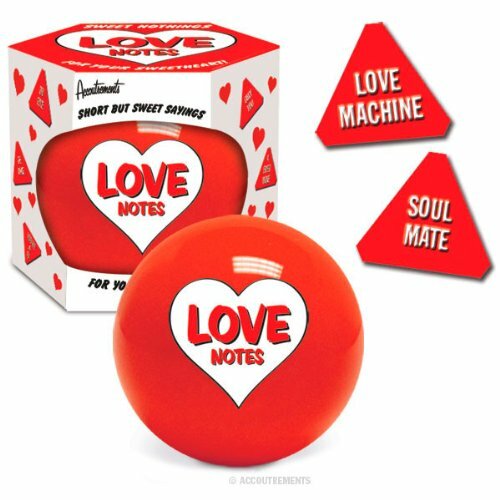 Just shake this 3-3/4" (9.5 cm) red plastic ball and look in the heart-shaped viewing window on the back for one of twenty special love messages such as "4 Ever Mine" and "You're a 10." Keep it handy for those intimate moments when you need to say the perfect thing or give it to your lover to express your love when you're not around.